At the Irish Farmers Journal Navigating Global Trade event, European Commissioner for Agriculture Phil Hogan said Ireland could ignore 99% of the howling in Westminster on Brexit. 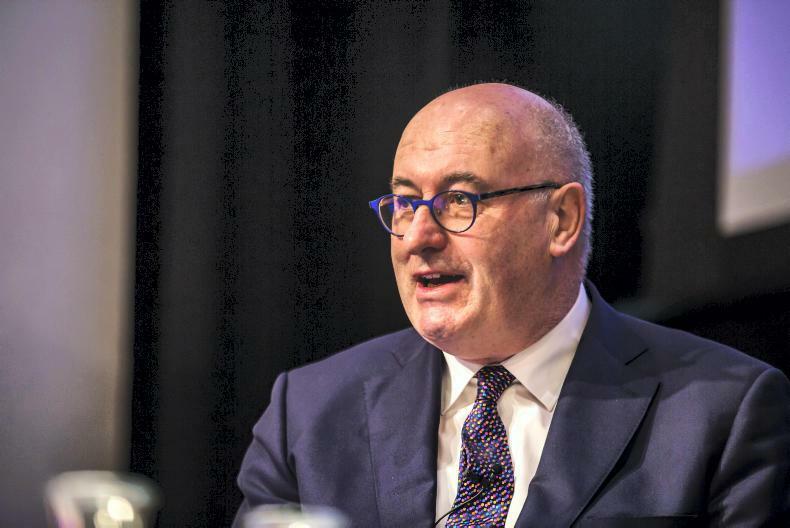 There is no doubt that Brexit is the single most disruptive shock to Irish trade in this or arguably any generation, European Commissioner for Agriculture Phil Hogan has said. In his keynote address at the Irish Farmers Journal Navigating Global Trade event in the RDS on Friday, the Commissioner said that Irish farmers, their families, their business partners, their local communities and the wider agri-food industry have been in a state of high anxiety in recent times, understandably so and through no fault of their own. He said that there is recognition across the EU of Ireland's vulnerability in relation to Brexit, particularly the beef sector. “There must be additional support available for Irish farmers. Irish agri-food companies have already been granted state aid relief,” he said. The Commissioner said that further stress should not be added to the current situation. “Instead, I want to give you some assurances. There has been so much noise and nonsense coming out of Westminster in the last few weeks – it would be virtually impossible for a busy working family to follow all the developments. “So I hope you will allow me to cut through the noise and nonsense and get down to the heart of the matter. “The reality is that you can ignore 99% of the howling in Westminster, which to be perfectly honest is becoming an embarrassment at this point and a stain on the UK's standing in the world. “The vote on Wednesday night in the House of Commons means that a small bit of common sense has finally prevailed, and the worst-case scenario of a crash-out Brexit is now receding into the shadows where it belongs. “Yes, it is true that an 'accidental' no-deal is still possible, but the British parliament has shown that it will not allow this nightmare to happen. There are still thankfully a few grown-ups left in the room,” he said. The Commissioner said that one of the chief threats hanging over the Brexit talks has gone, that no-deal will no longer be used as negotiating leverage. “It should lead to a more mature final discussion between the UK and the EU. In relation to what comes next, we have to wait to see what the House of Commons decides. “But we can say with confidence that the only way for Britain to leave the EU will be with an agreement. And if that cannot be achieved by 29 March, the exit date will have to change. Sensible cross-party collaboration in Westminster is now the way to go to find a path out of this mess,” he said. Commissioner Hogan said that Ireland needs to stay calm and not react to the UK's tariff statement published during the week. He said it was a political stunt “pure and simple”, designed to change the news cycle in the UK and weaken the unity of the EU 26 in relation to the Irish backstop. “I want to assure Irish farmers that the EU's resolve will not buckle. Solidarity behind Ireland remains rock solid, steadfast, and unwavering. So while negotiations continue in London, back on the ranch in Brussels the EU institutions are calmly and patiently planning ahead. “My services in DG AGRI and experts across the European Commission have been working tirelessly to put preparations in place for all possible Brexit outcomes, and Ireland has been the absolute priority in their minds. “Today [Friday], DG Agri will launch an online portal to highlight in detail all the work that has gone into Brexit preparedness. This will be a very useful port of call for farmers and agri-food operators who want to find out more about the EU supports available. “It is very important to recognise that while Brexit is unquestionably a huge challenge, the European Commission has form in responding both quickly and decisively to huge challenges,” he said. In spite of the financial challenges arising from Brexit and the consequent loss of €12bn from the EU budget, he guaranteed no change in direct payments to Irish farmers in 2019. He also said that state aid support, additional promotion measures and additional market support measures will be available. “The Commission's historical commitment is that 'no individual Member State will suffer disproportionately' in a time of crisis and that certainly applies to Ireland today,” he said. Looking at the global trading picture, Commissioner Hogan said the macro-economic reality is that the world economy is slowing down. “Growth is easing in Europe, China and the USA. This country, and particularly our world-class agri-food industry, is going to need exports in the coming years. “We are producing more and we have to finds way to export more. That is the reality of life. “We need the global trading system to remain supple and safe. We cannot afford tariffs and other barriers to trade, like has been proposed by the UK but also exercising the minds of the White House in recent times. “I believe we should continue down the road of greater market orientation, improving our competitiveness at home while making the most of new opportunities abroad. 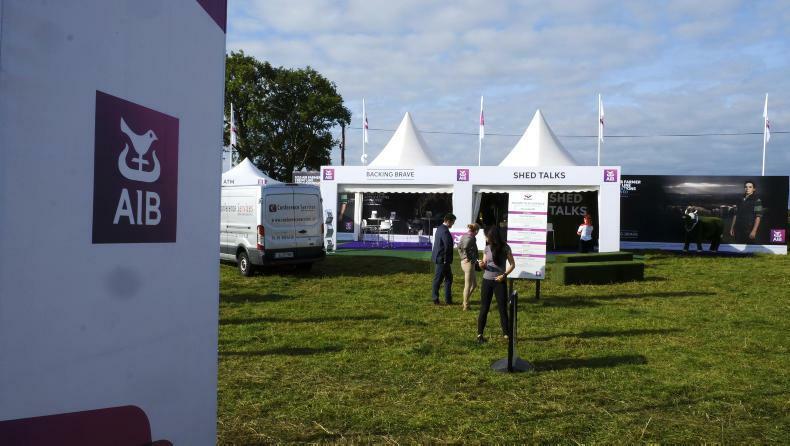 “In relation to the UK market, the competition will be unable to fill market demand overnight and consumers in the UK are not going to stop eating high quality Irish beef overnight either,” he said. On trade deals, the Commissioner said that Europe is fully aware that trade openings can be very sensitive and appear threatening for other sectors. “Beef and rice, sheepmeat, sugar and poultry will face stronger competition within and outside the EU. We will therefore continue to duly recognise and reflect the sensitivity of those products in trade negotiations, making sure that we obtain an outcome which provides sufficient safeguards to protect our producers. “We have to remember that trade only works when the right support structures are in place. “The EU continues to be the global standard-bearer for free, fair, rules-based trade. “We will not flinch in our defence of the multilateral order, unlike some of our global partners who seem to think that they can only pick out the parts they like best, a bit like someone picking all the purple Skittles out of the packet,” he said. On Mercosur, the Commissioner said that the Commission remains committed to reaching a comprehensive, balanced and ambitious agreement. He said there will never be a deal that fails to meet EU SPS and environmental standards and that that also applies to any UK deal. Commissioner Hogan said that growing Ireland’s exports is a business imperative. 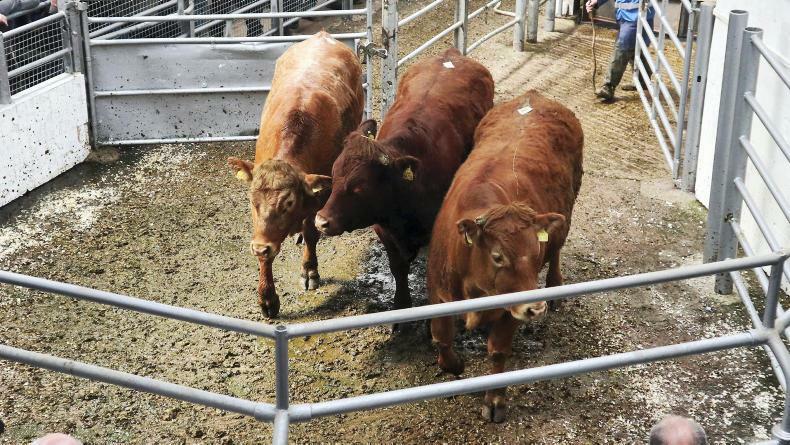 “With that in mind, I think it is a very good idea to build on the excellent global reputation of quality 'Irish beef' and it would be worthwhile applying again for a PGI registration. “This would add value in some of Ireland’s main markets and would help distinguish the product against competing products. “If Irish farmers can identify specific products for which Ireland is famous, and build a proposal around that it has every chance of success. But let me stress that a quality 'Irish beef' application cannot refer to all beef produced in Ireland,” he said. The Commissioner said that EU quality designations are not only an indication of provenance and geographic origin – they are built on the reputation and quality of a specific product. “We are therefore talking about beef that is certified from the grass-based suckler system – 100% or 95% grass-haylage-silage; a quality product with cream-yellow fat and the characteristic darker red colour of true grass-based product. “A PGI passes a message of quality and authenticity to consumers. 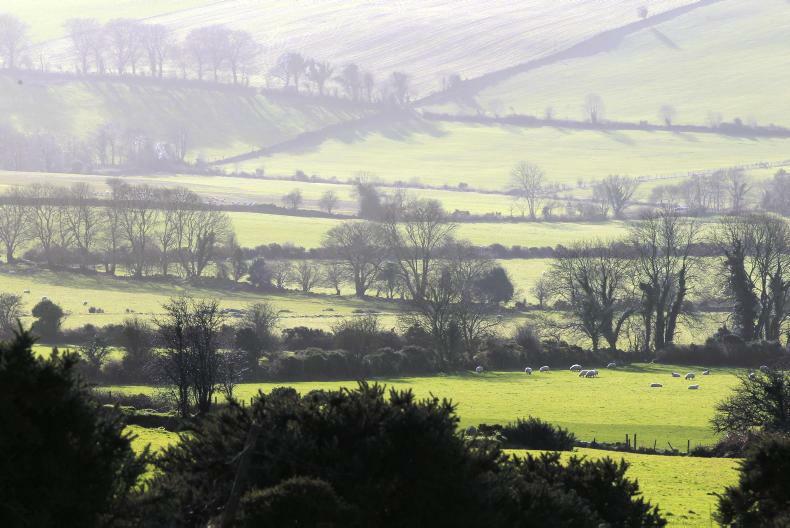 I welcome that the Department met with DG AGRI experts and producers on 1 March in Dublin to discuss the conditions for a PGI proposal,” he said. Concluding, the Commissioner said he wanted to mention one other issue. “I mentioned earlier the importance of EU solidarity and the unwavering support of the 26 EU MS for Ireland during the Brexit debacle. However, we have to bear in mind that solidarity works both ways. In the marketplace, Irish operators need to compete but we have to behave responsibly. “I trust you will bear this in mind as you assess the European marketplace for new opportunities post-Brexit,” he said. The Navigating Global Trade Conference is brought to you by the Irish Farmers Journal and Grant Thornton and is supported by the European Commission. This is a citizen’s dialogue event.